[toc]Dust allergy is common for all age groups and it may restrict you from doing lot of things in life. If the allergy becomes severe it may even lead to fever and other complications. If your immune system is allergic to the external conditions, then these allergic reactions may happen. Especially, the allergy caused by dust is a very common one. It is always better to prevent the situations where you have to come across dust. But, there are certain unavoidable situations like travel, where you definitely have to cross all these. 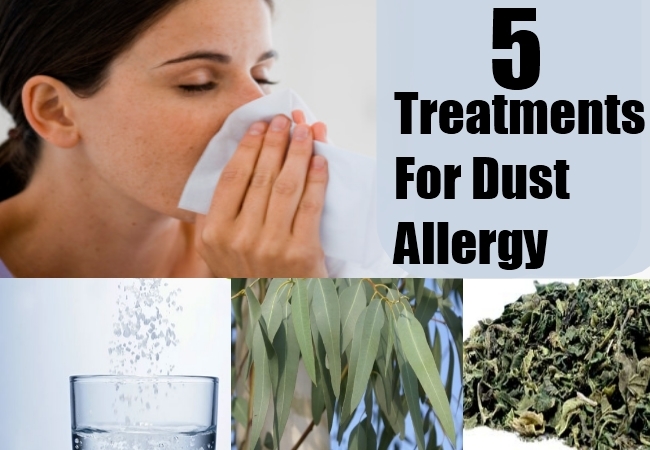 Here are some of the treatments that you can try out to overcome dust allergy. Water is the best cleanser of all. You can use it for clearing the nose and clean all dust. But, in case of killing even the unidentifiable microbes, salt water is the best. You can completely clear your nose from all kind of dust particles, either macro or micro, with this solution. A device called neti pot can be used for this purpose. 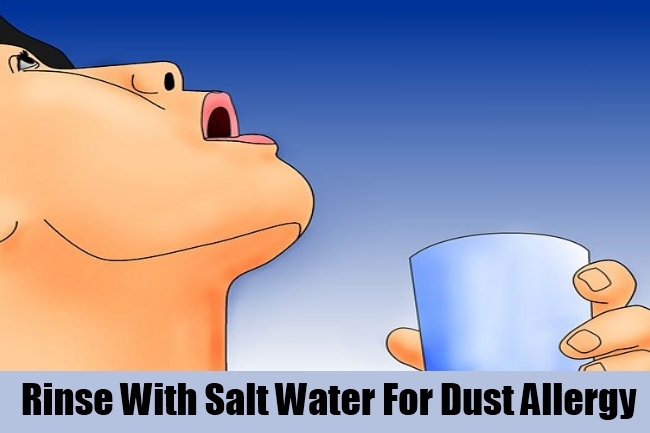 The procedure to clean with salt water is quite simple. You have to fill the pot with salt water and pour it through one of the nostrils, and it should be ejected through the other nostril. 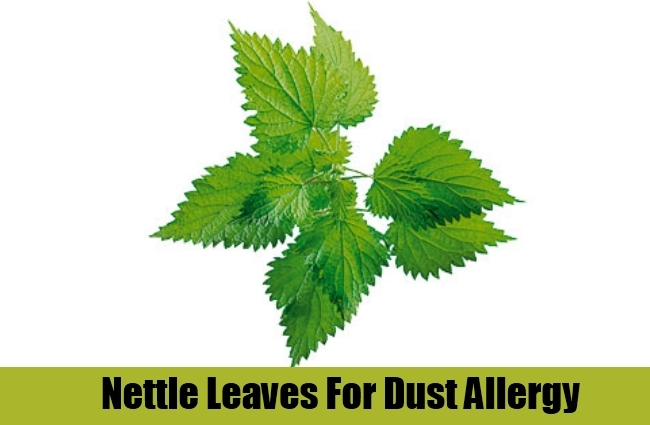 Nettle leaves have very good anti-allergic properties, especially against allergies caused due to dust. You can make a strong tea using these nettle leaves and have it, whenever you feel allergic. This will give you greater relief from all the symptoms. You can even have this regularly and prevent from all allergic reaction due to dust. The dust allergy symptom will vary from each person. And, most commonly, difficulty in breathing with continuous sneezes is one of the symptoms. To tackle this, you can make use of eucalyptus. Whether in the natural form or processed form, it is very effective in dealing with these conditions. 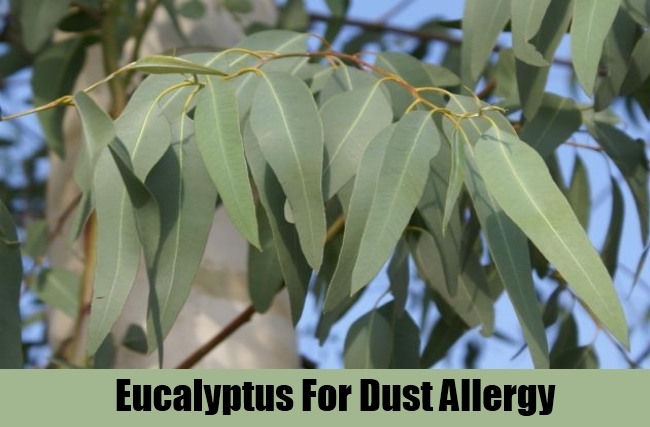 Just the aroma of eucalyptus is enough to bring you out of these symptoms. All fruits like lemon, grapes and orange, that is rich in vitamin C, can effectively fight against dust allergic conditions. These fruits contain antioxidants, which helps in strengthening your immune system. When your immune system is strong enough, then you can protect yourself from the allergic conditions. So, a regular intake of fruits rich in vitamin c is found to showcase a good fight against dust allergy. The naturally available and unprocessed honey is a very good preventive agent of dust allergy. If you can get some honey, which is collected directly by the honey bee, then that is the best medicine to prevent dust allergy from occurring. It strengthens the immunity and also reduces the allergic symptoms too, in course of time. It is often possible to confuse the symptoms of dust allergy as some other symptom. So, it is essential to rightly identify the conditions and take a proper treatment for it. You can consult a doctor in case of the persistence of these conditions.